Elevate everyday life…….sounds like a plan to me. I like how BirchBox partnered with a regular girl like you and me and not a celebrity or brand for this month’s curated box and products. Products are more relate-able when they are picked by someone in your own demographic. Or well maybe close to your demographic, I am not one to wear a bold lip color or crazy shade of eye shadow. However I am always willing to try new things. Living Proof – Restore Instant Repair: Innovative treatment that smooths and heals hair. ————————-> This one is going in the gift pile, I am not an eyeliner girl. Never have been and I never will be. ————————> I am seeing a lot of gel moisturizers on the market this spring and I think I like them. This one is pretty great it absorbed quickly and left my skin feeling cool and smooth. I like cool and smooth, especially when it comes to pickup lines. Real Chemistry Luminous 3-Minute Peel: this acid-free peel gently exfoliates for instantly softer, smoother, and brighter skin. ———————>This is my sample choice product for May. I have seen it in previous sneak peeks and it left me intrigued and I knew that i needed it in my life. I have yet to try it thou, it is giving me the sad eyes from the bathroom sink. I keep telling it when I have time, its you and me peel, its you and me. 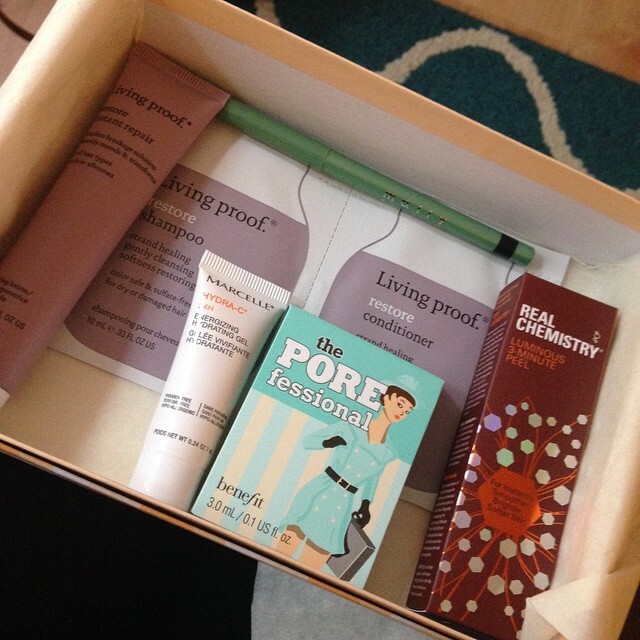 This Months box was pretty great, well besides the evil eyeliner and when I complete my product reviews I will earn a total of 70 points that I can use in the BirchBox shop. 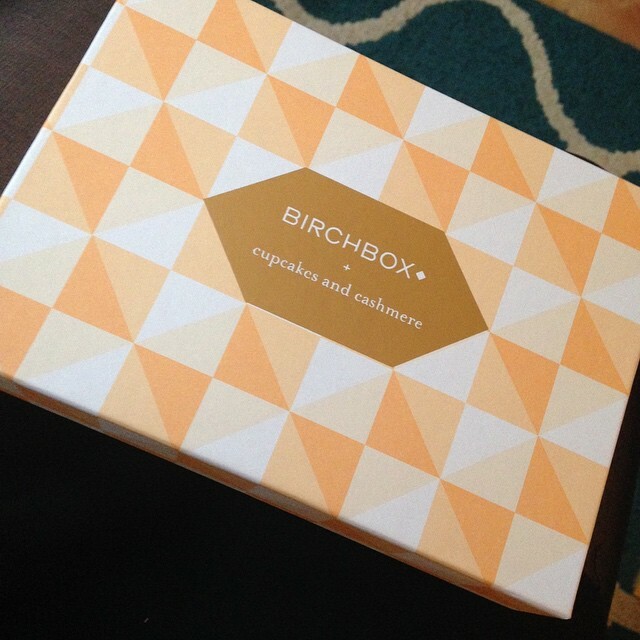 Birch Box is a beauty and lifestyle subscription box program that costs $10.00 per month. For every dollar you spend in the shop you can earn 1 point. 100 points will get you a free birch box or $10 towards a purchase in the shop at birchbox.com. 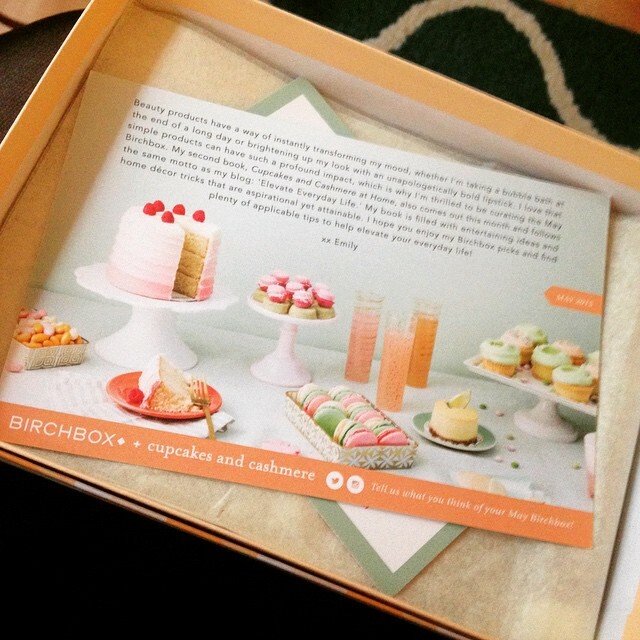 I know you’ve got friends so why not refer those friends to Birch box and earn a few points for doing so. If you would like to learn more and get a Birch Box of your very own go to http://www.birchbox.com for more information.